✍️ Please click CUSTOMIZE NOW – Free Engraving on bothside. Engraving up to 5 lines 15 characters per line . ✅ STAINLESS STEEL POLISHED MIRROR-FINISH – The laser engraving is clear, permanent, and attractive on a POLISHED MIRROR-FINISH surface. 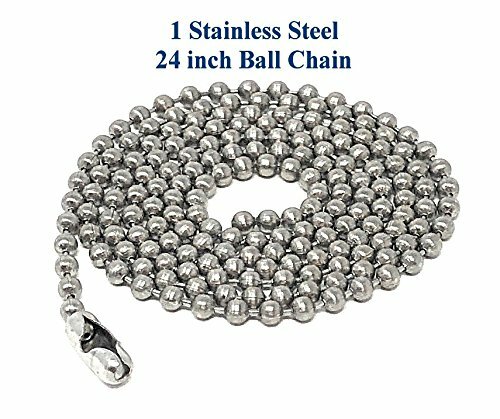 ✅ INCLUDED- Stainless Steel 24″ long Ball Chain, Giftpouch and Keyring Chain (Could be used as a jewelry necklace or keychain). 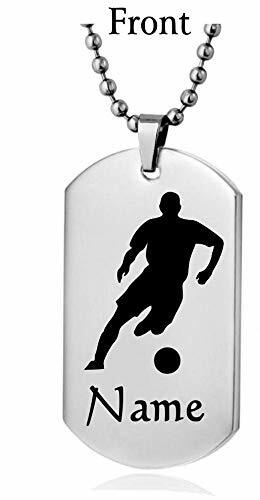 ✅ QUALITY – Thick high polished Stainless Steel tag Made in USA -Engraving and Shipping From USA. Best gift for Christmas, Valentine's Day , Mothers' Day, Fathers' Day ,Birthday ,Graduation and other occasions. Our Stainless Steel tags are strong, heavy ,thick and high polished. 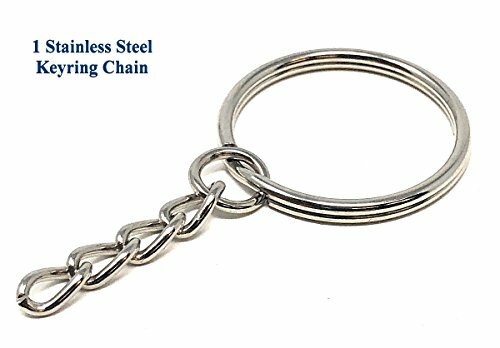 Stainless steel tags are more durable and last longer than aluminum tags. Engraved your text for both side. Engraving is permanent, and tags are ENGRAVING in USA and SHIPPING from USA in 1-2 business days. 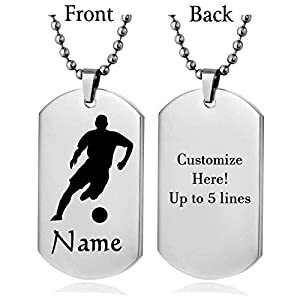 Free engraving up to 5 lines and 15 characters per line. We will redesign your customized text request. 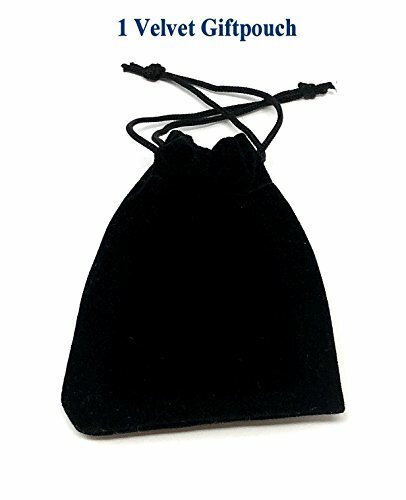 You are purchasing a unique necklace; you could use a necklace or Keychain. 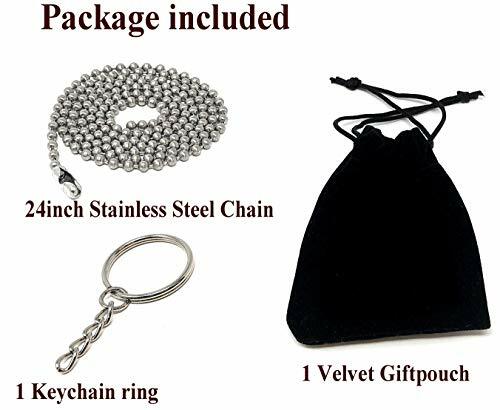 It comes with FREE Stainless Steel 24″ (adjustable) Ball Chain, Giftpouch and Keyring Chain. It comes with free hook connector for able to use Necklace or Keychain.